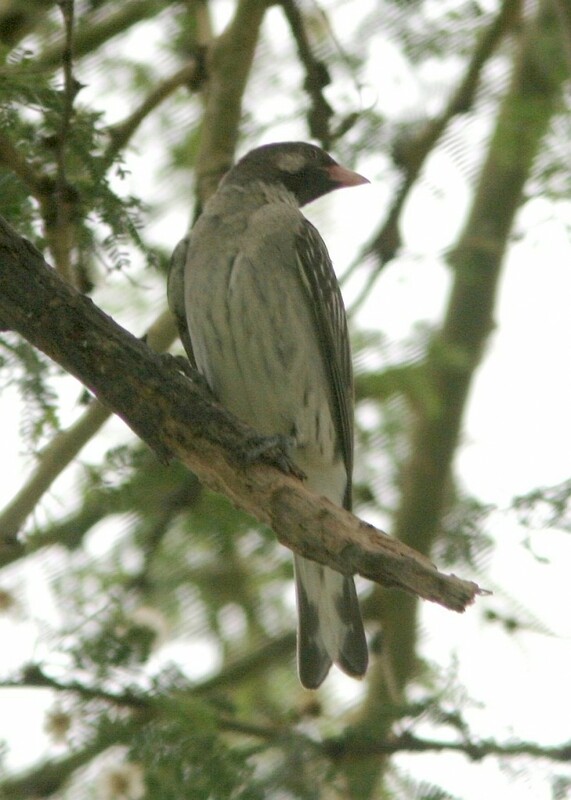 The Greater Honeyguide , Indicator indicator, has been known to guide men to bee colonies in many parts of Kenya, Africa. This symbiotic relationship between bird and man has actually dated all the way back to the 17th Century! The greater honeyguides are especially useful when it comes to unfamiliar areas. Due to the honey gatherers’ use of smoky fire to hypnotize the bees, the greater honeyguides benefit from being stung. In addition, most of the nests are more accessible to the birds only after the humans have opened them (Isack and Reyer, 1989). The scientific study undertaken by Isack and Reyer discovered that communication between the Borans of Kenya and the greater honeyguides were through sounds and visual signals. To get the attention of the birds, the Borans used a penetrating whistle. The greater honeyguide responded by flying close to the honey gatherer and gave a ‘guiding call’. The bird made use of its calling, its display of its conspicuous white outer tail feathers and perching on nearby branches to guide the Borans to the bee colonies. Upon arrival, the bird would perch on the branch close to the nest and make an ‘indication call’. The Borans interviewed have observed that through this guiding behaviour, the birds were able to inform them of the direction, distance as well as their arrival to the bees’ colony. The greater honeyguide’s calling is only directed at humans. However, unlike communication between animals (such as pet cats and dogs) and man, the greater honeyguides are not domesticated. There have even been observations found that some greater honeyguides attempted to guide nonresponding humans (Dean et.al, 1990)! Despite an amazing discovery of a connection between a wild animal and a human, this relationship is otherwise threatened due to urbanization and advanced technology of extracting honey from beehives. “BBC Talking to Strangers: Honeybirds,” by unireality. unireality YouTube Channel, 23 February 2009. URL: http://www.youtube.com/watch?v=SN5igku_kGk&feature=related (accessed on 27 March 2010). Dean, W. R. J., Siegfried , W. Roy & MacDonald, I. A. W., 1990. The Fallacy, Fact, and Fate of Guiding Behavior in the Greater Honeyguide. Conservation Biology, 4 (1): 99-101. Isack, H.A & Reyer, H.U, 1989. Honeyguides and Honey Gatherers: Interspecific Communication in a Symbiotic Relationship. Science, New Series, 243 (4896): 1343-1346.